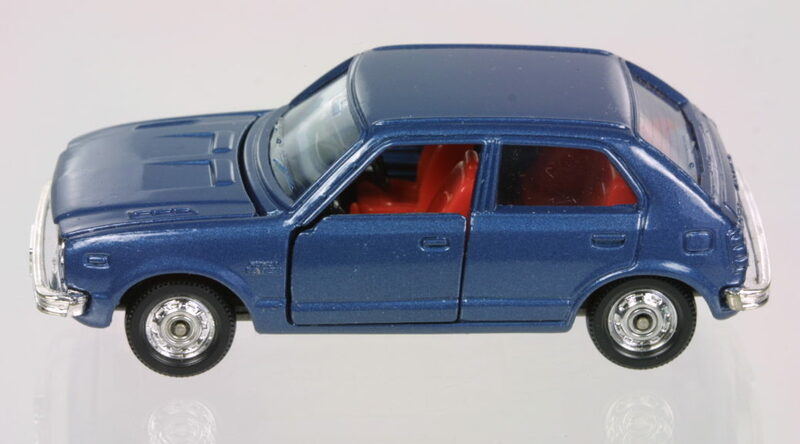 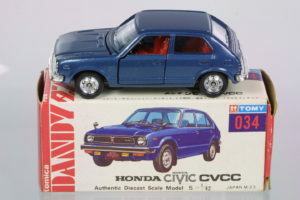 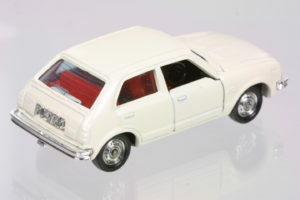 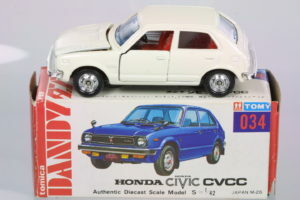 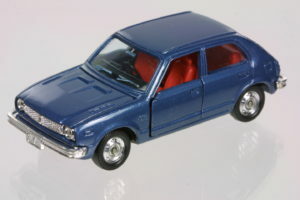 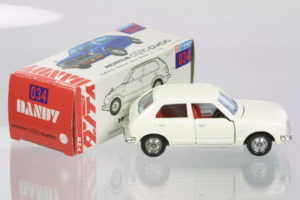 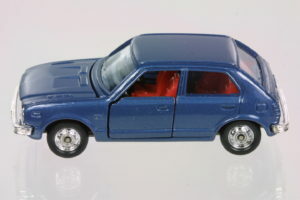 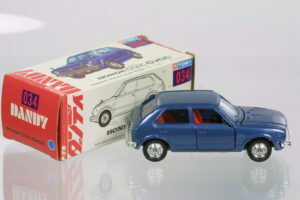 Tomica released a the 1974 Civic 4 door in 1:42 scale as part of their larger Dandy series. 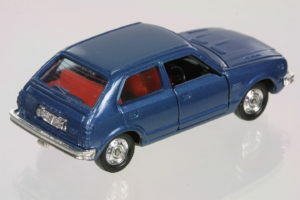 The model’s glaring inaccuracy is the missing window divider on the rear side door. 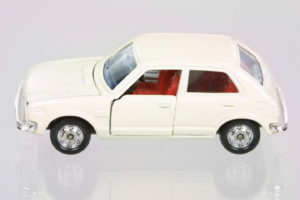 Some of the detail is quite good – notice the wheels and seats. 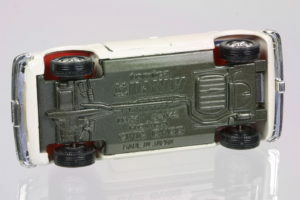 The bases at painted gunmetal grey. 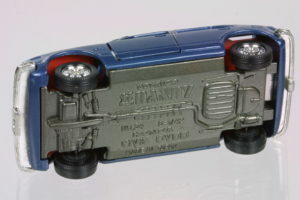 Also, notice the color code circle on the box ends.